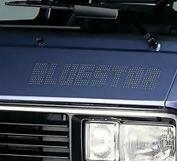 Quote Reply Topic: Westy interior light/radio mod. Following on from another thread (see below) here is a useful upgrade for owners of later Westfalia T3's with the blade type fuse box. Thing is, your Westy has 2 batteries, the second battery handles the heater (where fitted) and the fridge and nothing else. To me it seems a bit daft to have this spare battery and yet run your interior lights, radio and cigarrette lighter (Or aux. power socket) from your main "car" battery, running the risk of flattening the main battery when camped up and not plugged into the mains. The modification outlined below will remedy this oversight and allow you to run your interior lights, radio and fag lighter from the auxilliary battery, how it should have been. Im just doing some wiring mods in me Westy, and remembered a conversation with Mr Baxter at his garage and he said the other day that he was going to rewire his Atlantic interior lites, radio etc so they work from the leisure battery. I have just done said mod, heres how. No. 3 fuse in the main fuse box works the lot. the RED multiplug on the rear of the fusebox, terminal no. 12 has 2 thin red wires coming out, these are the feeds. I just cut them off at the plug, connected some 17AMP cable and ran a feed from the leisure batts through a 15amp fuse, then removed no. 3 fuse from the `box for good measure. Now all the interior fluros in the rear, radio, front interior light and fag lighter socket can be used without fear of flattening the main starter battery. Actually got a list of bits I wont done so will pm you. Could do, not a problem, also have auxilliary fuse boxes in stock. Put one aside I will draft a list of bits I would like done and send over. I'm a renegade from the lT forum- with a Westy Florida. Given this mod, would I be right in thinking ithat this is a Westy thing and interior lights etc on my van might also run off main battery and not leisure batteries? 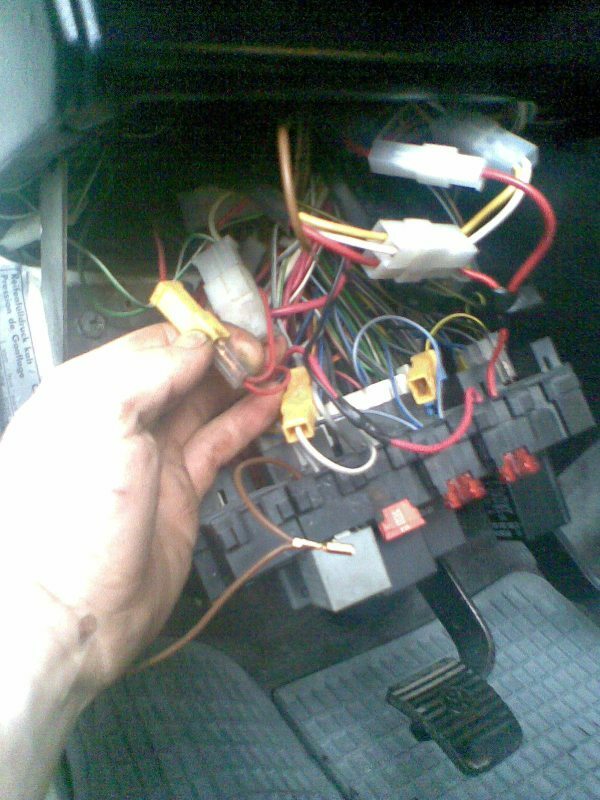 Take a look at the fuse box where the wiring runs to (the wiring mentioned in the above post), try pulling the fuse that runs this circuit and see if the interior lights, radio etc stop working. 2. Run 17amp cable from the leisure battery (which currently I dont know where it is and what route to take) to no.12 at rear. Do you need to disconnect battery when doing this and what materials and tools are needed e.g. connectors etc? Not sure where to buy the materials either?? Always disconnect the negative lead before messing with the juice. You seem to have got a bit muddled there mate, the pin no.12 red wires are in the back of the RED PLUG on the back of the fusebox (NOT no.12 fuse) they are easy to spot as they are red and paired together into the plug terminal. Cut these at the plug, then connect to the 17A cable with either an inline crimp or solder the joint and insulate it, make sure you put an in-line fuse holder or similar between the leisure battery and the joint (nearest the battery is best). Leisure batt goes under the front seats usually. IF IN DOUBT, GET SOMEONE TO DO IT who knows what they`re doing, it`s only 12V but can still cause a wiring fire ! I'm not sure why you should cut these wires when you can just pull this terminal block apart (two spade block 5inches from the fuse box) push back the male spade connectors retaining prong to pull out the spade from the block and then plug the male spade connection onto the end of your new cable with a female fitted (reconnect the block) Nothing is cut so you retain the original connector, just needs a few turns of insulating tape and done! All I need to do now is to change the radio switched live, to a permenant one, so I can use the radio/CD without ignition. that block connector is only for the lights though. Not the radio or accessory sockets. I took some photos of which wires you need to disconnect, i'll post em later. cheers guys ;) I wont be doing it tomorrow, going out and chilling, though a possibilty on Sunday depending if motorspares sells the required bits and bobs. I just did mine, super simple, I also took piccies but you can't really f**k it up, it's that simple. Basically a red wire goes up the left hand door pillar and feeds the front interior light(s) and then goes on to feed the rear fluro's. Easiest way to find the wire is to drop the fuse box down, and look for the single red wire that runs off in the direction of the pillar, in it is a connector, just unplug it and your lights should now stop working. leave it unplugged and connect in your new wire from the new fuse box you just fitted to run your auxilliaries from. Tape the old supply wire up so it doesn catch owt. I haven't done mine yet, been so busy at work :( Need to have a think and determine what to go and buy before I start.